Raised in Timmins, Ontario, Twain pursued singing and songwriting from a young age before signing with Mercury Nashville Records in the early 1990s. Her self-titled debut studio album saw little commercial success upon release in 1993. Following her collaboration with producer and her later husband Robert John "Mutt" Lange, Twain rose to fame with her second studio album The Woman in Me (1995), which brought her widespread success; it sold 20 million copies worldwide, spawned widely successful singles such as "Any Man of Mine" and earning her a Grammy Award. Her third studio album, Come On Over (1997), became the best-selling studio album of all time by a female act in any genre and the best-selling country album, selling around 40 million copies worldwide. Come On Over produced twelve singles, including "You're Still the One", "From This Moment On" and "Man! I Feel Like a Woman! ", and earned Twain four Grammy Awards. Her fourth studio album, Up! (2002), was also certified Diamond in the United States. In 2004, Twain retired from performing and began an indefinite hiatus from music, later revealing that diagnoses with Lyme disease and dysphonia led to a severely weakened singing voice. In 2011, Twain chronicled her vocal rehabilitation on the Own miniseries Why Not? with Shania Twain, released her first single in six years, "Today Is Your Day", and published her autobiography, From This Moment On. 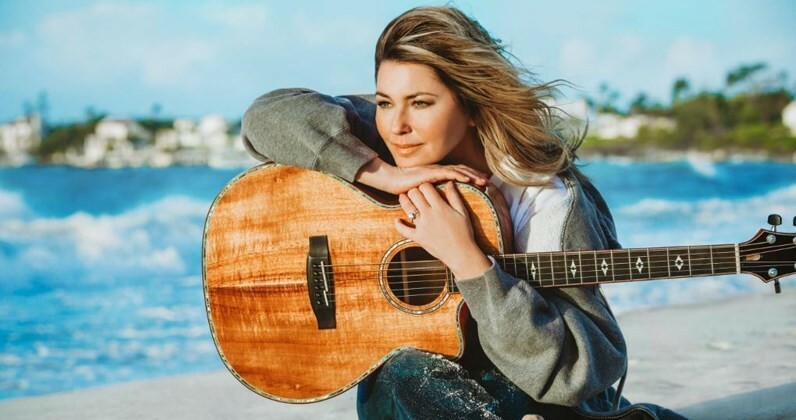 She returned to the concert stage the following year with an exclusive concert residency at The Colosseum at Caesars Palace, Shania: Still the One, which ran until 2014. In 2015, she launched the North American Rock This Country Tour, which was billed as her farewell tour. Twain released her fifth studio album and first in fifteen years in 2017.